Nonprofits crowdfunding clean energy projects. Crowdfund your nonprofit’s investment in clean energy. Solar CrowdSource connects nonprofits seeking funding for clean energy projects with people seeking a socially responsible investments. Now, your nonprofit can get the funding it needs to finance its clean energy project and start saving money that can then be used to support its core mission. Your nonprofit gets the funding it needs to make clean energy improvements and save money on its electricity bill that can be used to support its core mission. The crowd makes tax deductible and socially responsible investments toward a worthy nonprofit. The community benefits from improved resiliency, cleaner air and economic development. Who can participate in a Solarize Georgia campaign? Solarize Georgia campaigns are open to all residents, businesses, and governmental entities within the community promoting the campaign. Sunlight makes contact with a solar panel to produce direct current (DC) electricity. The DC electricity is then sent to an inverter and converted into alternative current (AC) electricity. The AC electricity can be used instantly on premises or transferred onto the grid. Without a backup power source such as batteries or generator, grid-tied solar PV systems will not operate when the power grid is down. This safety requirement, called “anti-islanding” allows utility linemen to safely repair power lines during a power outage. You may choose to add a battery backup to your solar system to keep the lights on during a blackout. Ask your community’s pre-selected installer for details on battery backup systems. How do I know if my site is suitable for solar? Solar panels work best when facing in a southern direction. They can be ground mounted or roof mounted and there should be little or no shading from trees, buildings, or fixtures. The first step in a Solarize Georgia program is to sign up for a free site assessment. Your community’s pre-selected installer will evaluate your site and help determine if solar is suitable for your location. For roof installations: The roof should be in good condition and be structurally able to accommodate the additional load of the solar panels. If your roof shows noticeable deterioration or needs additional structural support, these conditions will need to be addressed before installing solar panels. The installer will help you make this decision. For ground mounted systems: If your roof is not suitable for solar panels, you may also consider a ground mounted solar electric system. It doesn’t have to be placed right next to your premises, but rather can be situated in the sunniest part of your property. If your property is still not suitable for solar, not to worry, we’ve got you covered. Join us on our Community Solar page to learn how you can still participate! Your community’s pre-selected installer will provide a comprehensive assessment of your specific energy needs by taking a look at your utility bills and sizing a system appropriately. What is net metering (aka bi-directional metering)? If your system generates more electricity than you use during daylight hours, the meter will “spin backwards” and the utility will provide a credit on your bill. In Georgia, we have bi-directional metering (as opposed to net metering) which keeps track of how much energy is sent back to the grid. Georgia Power, for example, currently pays 4.3¢/kWh for energy you send back to the grid. Yes, you will still receive a monthly bill for your meter and for any energy you use to supplement your solar array at night or cloudy days. The amount of your bill depends on how much electricity you use and how much you send back to the grid. The cost will be determined by the tiered pricing structure provided by your community’s pre-selected installer. The more people in your community that participate in the program, the lower the pricing will be. For instance, a 4kW system at $3.00/watt would cost $12,000. After the 30% federal tax credit, the cost would be $8,400. Typically, solar systems add to a property’s value. This is due to the fact that unlike electricity rates, solar rates will never go up. Thus, a solar PV system insulates you from rising electricity rates. Once the system has paid for itself, the electricity it generates is absolutely free! Some HOAs may require prior approval from the HOA Board of Directors before installing a solar system on your roof – particularly if the system will be visible from any public space such as roads. We recommend that you review your HOA’s covenants to determine if there are any restrictions in place. Your community’s pre-selected installer can help you troubleshoot any problems you have obtaining approval from your HOA. Solar CrowdSource has adopted “best practices” materials to help HOAs adopt solar-friendly guidelines in their covenants. Loan Financing: Solar CrowdSource partners with [POVIDER(S)] to provide low-cost loan financing specifically designed for solar. [More info/links about our finance partners here]. You can also check with your local bank about home-improvement loans. PPA Financing: With the recent passage of the Solar Power Free-Market Financing Act, participants can now finance a system through a Power Purchase Agreement (PPA). This is where a solar developer will own and install the solar system on your premises for free and then sell you the electricity it generates over a period of time. You get clean, renewable electricity with no money down. This is a brand new law and Solar CrowdSource is in discussions with PPA providers now. We will provide an update when more information becomes available. Can I benefit from the federal tax incentive? A taxpayer may claim a credit of 30% of the price of the system (after 2016, the residential tax credit will expire and the commercial credit will drop to 10%). If the federal tax credit exceeds your tax liability, the excess amount may be carried forward to the succeeding taxable years. Note: Individual circumstances vary and not everyone is able to take full advantage of the tax credits. Solar CrowdSource strongly recommends you consult a tax professional to learn how tax credits apply in your situation. Can a non-profit or government entity benefit from the federal tax incentive? Since non-profit and government entities are non-tax paying entities, they will not be able to benefit from tax incentives that make solar more affordable. For non-tax-paying entities Solar CrowdSource recommends using a PPA finance structure as indicated above. Check out our Solar Marketplace page for more information. You will need a solar permit from your local building and planning department. If your local building and planning department has yet to adopt a solar permit ordinance, you may need an electrical permit and a structural permit. Solar CrowdSource has adopted model solar permitting and can work with your community to ensure all permitting is in place. Your community’s pre-selected installer will take care of obtaining the necessary permits for you. Most solar panel manufacturers carry a 10-year product warranty and a 25-year linear performance guarantee. Inverter warranties are from 10-25 years depending on the inverter type. Your community’s pre-selected solar provider will inform you of all product warranties and provide a workmanship warranty as well. Will I be able to monitor my system? Yes, all systems will include ability to monitor performance in real-time and track your production over a period of time. What about maintenance and maintenance costs? Solar systems are passive with no moving parts. Therefore, they are relatively maintenance free. That said, typical maintenance activities can include removing branches or other sources of system shading, visually inspecting the system for damage, dust or debris and hosing down the system as needed. Most of the costs associated with maintenance are related to repairing/replacing system components, inspecting terminals and connections, or performing maintenance on inverters—all of which should be done by qualified technicians. Ask your community’s pre-selected installer for more maintenance details. Once your contract is approved and signed, your community’s pre-selected installer will begin the permitting process and order your equipment. Typically, it should take about 30 to 45 days from the time your contract is signed and approved until your system is delivered and installed, interconnected and energized. Times may vary, however, depending on your local permitting process and other factors. Once the permits are obtained and the equipment is delivered, the physical installation is performed in about 1 to 3 days, depending on the size of the system. Am I required to use my community’s pre-selected installer? To take advantage of the tiered pricing structure and guaranteed minimum price, you need to work with the pre-selected installer. However, other solar installers in the area may be able to offer competitive pricing and you are free to select your own installer if you choose not to participate in this program. Will solar panels get damaged in a hailstorm? Solar cells are protected with a hail-resistant tempered glass surface. Testing includes a half-inch ball baring shot at a 90-degree angle at 90 mph. Solar panels are usually mounted on a tilt so hail will ricochet off the panel surface at an angle. Nevertheless, a severe storm with golf-ball size hail could cause damage to solar panels, your roof, house, cars, etc. In this case, your property insurance will cover the damage. What happens if I have a fire on my roof? Solar systems come with automatic safety disconnects located according to local permitting ordinances. Fire safety professionals have developed procedures and best practices for dealing with rooftop solar panels. It is important that your local fire department knows the location of your electrical disconnects. Will solar panels be covered under my home insurance? Typically, yes, but it is important to check with your insurance agent to verify and to see whether your policy will need any adjustments. How do I start a Solarize Georgia program? 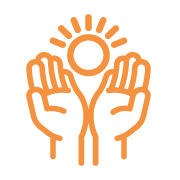 Complete this form to notify Solar CrowdSource and we will contact you within 24 hours to discuss your campaign. Once approved, you will be given access to your own campaign webpage which you can customize with your own copy, pictures, videos, and links to social networking. You may share administrative access to the campaign page to as many community members you like. We also have Solarize specialists that can help design and promote your campaign. What tools does Solar CrowdSource offer to promote my campaign? Our success depends on the success of your campaign so we give you all the tools you need to successfully promote your campaign. We provide a landing page, automated email updates and reminders, social media posts, database management, campaign analytics, and coordination with community representatives for local approvals and solar workshop meetings. What is the cost to the community to use this program? Nothing. Solar CrowdSource is specifically designed to make it easy and more cost effective for communities to go solar. There is no out-of-pocket community expense for the Solarize program; however, community leaders are expected to contribute time and in-kind resources for outreach, solar workshops, and print materials to promote your campaign. 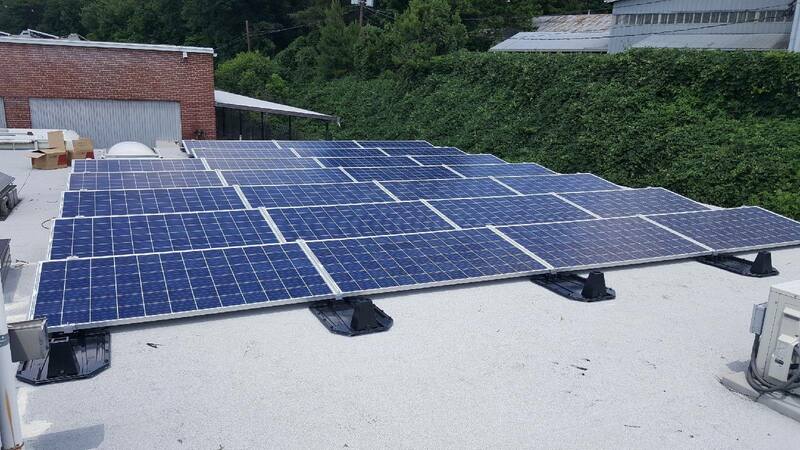 Because Solarize Georgia programs reduce the customer acquisition cost for installers, Solar CrowdSource charges a fee to the installer and the savings are passed down to participants. How do I know if my community is a good candidate for a Solarize Georgia campaign? Generally, communities with an active, enthusiastic sustainability committee are great candidates for a Solarize campaign. Larger communities generally have more resources to get the word out and will get lower pricing from installers competing for higher populated areas. If you don’t have a sustainability committee set up yet, a group of individuals (three or more) able to commit to a 90- to 120-day campaign is recommended. Most of the effort is in the initial setup and solar workshops at the beginning of the campaign, but the outreach will continue throughout the campaign and intensify at the end as the deadline approaches. Solar Crowdsource offers a lot of tools to help run your campaign smoothly and efficiently, but it is ultimately the community that will determine how successful a campaign will be. What is a solar workshop and who organizes the event? Solar workshops are free to attend and open to the public. They are designed to educate the public about solar PV generally and explain how the Solarize program works. It is an opportunity to meet the community designated installer and ask questions. At least two solar workshops are recommended for a Solarize Georgia campaign—one at the beginning of the campaign and another in the middle of the campaign. Solar CrowdSource will help coordinate a solar workshop with the installer and community at a community-designated location. How do I get the word out to my community? Solar workshops, newsletters, signs, emails, and social media are all great ways to get the word out to your community. Solar CrowdSource offers a powerful suite of tools to help a community’s outreach efforts. Can my community pick its own preferred installer? Yes, a community can pick any installer it chooses; however, Solar CrowdSource recommends the community issue a request for proposal from installers so as to get the best value for its community members. Solar CrowdSource will help facilitate the RFP process as part of its services. A typical Solarize Georgia campaign will run 90 to 120 days, depending on the size of the community. Larger communities will need more time to get the word out and for the installer to conduct site evaluations. Nothing motivates people like a deadline. A campaign is a limited-time offer, creating a sense of urgency among community members who do not want to miss a good deal. Why should we use only one installer? Solarize Georgia programs work by giving residents the benefit of economies of scale. Aggregating projects in a certain area together with community outreach reduces the cost of solar and the savings are passed down to the customer. The more people in the community who sign up, the lower the price goes for everyone. But everyone is free to use another installer. How is the designated installer selected? The process begins with Solar CrowdSource issuing a Request for Proposals (RFP) from installers who are interested in serving the communities participating in the Solarize Georgia program. After a screening process between Solar CrowdSource and the community, a small committee from your community interviews selected installers and ranks the proposals based on prices, quality of the equipment to be installed, quality of service and overall track record. 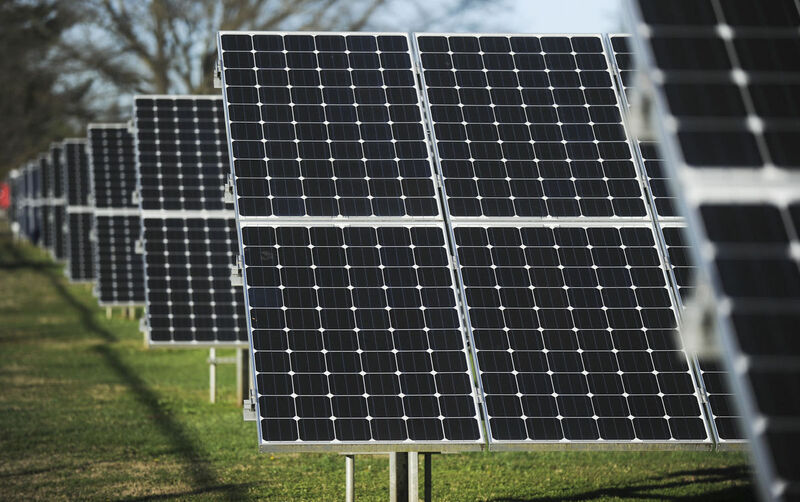 The community committee also may use recommendations from other Solarize communities as well as local customers to help inform their decision. Solar CrowdSource then contracts with the designated installer for the community.